Old Africa Magazine - We publish stories, personal memories, and vintage photographs to recapture East Africa's past. The stories in Old Africa will transport readers to an earlier era from the time of Western interest and exploration in the area up to the mid-1960s. Read more. Premier South Africa Accommodation Guide - Choose your South Africa travel destination then select from a wide range of accommodation. We offer the finest luxury 5-star Hotels, Resorts, Villas, Guest Houses, Apartments, Self Catering accommodation and Bed & Breakfast accommodation in South Africa as well as budget accommodation to fit your travel plans. Sleeping-OUT, the premier South Africa accommodation guide. Go2Africa.com is a comprehensive travel guide with recommended tours and packages to East and Southern Africa. Our travel consultants will help ensure that you plan a perfect African holiday experience. Visit this site. Or please contact us for more information about Cape Town and environs as our senior partner and his wife lived in this area for over 30 years. Save the Rhino Trust - To assist the Ministry for Environment and Tourism and surrounding communities to promote the protection and sustainable management of the black rhino, elephant, other fauna and their habitats in north-western Namibia, while ensuring that the biodiversity of this unique, arid environment is conserved. Visit their site. Amatikulu Tours - This travel company offers adventures and game reserve accommodation in Southern Africa. Tours, safaris, hotels, and scuba diving, plan your dream holiday in Africa. Advice from professional tour guides. Visit the site of African Safari. The Official Website of the Kenya Tourist Board - See some great scenes and tourist spots, Masai Mara Reserve, Amboseli National Park, The Delamere Camp, Dodori National Reserve, Kilimanjaro, plus many more beautiful places. For a list of all National Parks and Reserves in Kenya, click here, and for information on booking tours and vacations in Kenya contact Delamere Travel. Take a 360° panaramic view of the Delamere and Cholmondeley (pronounced Chumley) family graves at Elmenteita, in the Soysambu Wildlife Sanctuary, Kenya, click here. One of the family graves holds the remains of Hugh Cholmondeley, 3rd Lord Delamere (The Great White Hunter) (1870-1931) (often misspelled, Lord Delemere), who was the nephew of Henrietta Charlotte Cholmondeley (1823- 1874) who was the only sister of Hugh's father, Hugh Cholmondeley, 2nd Lord Delamere (1811-1887), of Vale Royal Abbey, Cheshire, England, and Hugh Jnrs, mother, Augusta Emily Hamilton-Seymour (1835-1911). If you would like a copy of the portrait of Hugh Cholmondeley, 2nd Lord Delamere (we have an enlarged copy now posted in our Board Room in Cape Town) go to this link of the National Portrait Gallery in London. Also on the web site of the Kenya Tourist Board you also have a choice of many other 360° views of this marvelous country of Kenya, including the Amboseli National Park, one of our favourites. Many of our clients have requested a good source for buying a print or painting of the 2nd Lord Delamere of Vale Royal, Cheshire, England. We have located a reliable source and suggest you go to the web site of Easy Art based in England and select in the search box "Lord Delamere" in the entire range of art work, and they currently have a beautiful hand-coloured restrike etching of Hugh Cholmondeley, 2nd Baron Delamere 1811-1887, with Vale Royal Abbey in the background, by Diana Calvert, ID # 35782. Hugh was one of the ancestors of the founder of the Delamere Group. Click here. Also experience the surroundings and locations of the brilliant book White Mischief - This novel is a true-life murder mystery set in 1930's Kenyan highlands and showing the dissolute life of the white overseer class there; available as a book and as a feature film directed by Michael Radford based on the novel by James Fox. Actors in the movie include, Greta Scacchi, Joss Ackland, Charles Dance and Hugh Grant. If you wish to review or purchase the book, or buy the DVD White Mischief visit this link. Also visit this site, which shows some great views of the valley. Click here. 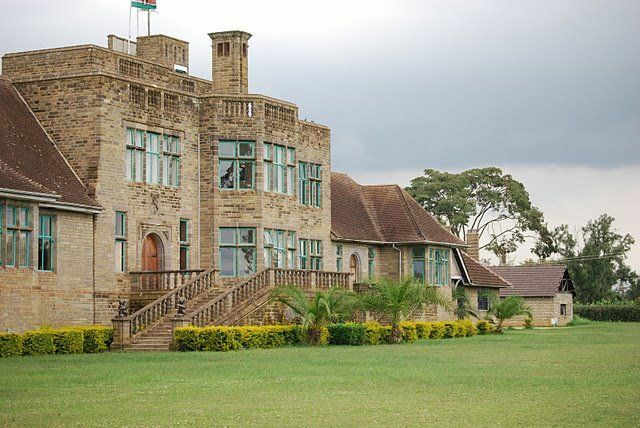 Of special interest to British visitors to Kenya is The Lord Egerton Castle, Ngata, Nakuru District, Kenya - Seeing this Castle in the Kenyan bush for the first time brings up a very interesting story about Maurice Egerton, 4th Lord Egerton of Tatton Hall, who died without successor in 1958. (The 2,000-acre Tatton Park Estate, Cheshire, England, was bequeathed to the National Trust by the fourth and last Lord Egerton in 1958) Of special interest to one of our senior partners in the Delamere Group, Dr. Geoffrey Hebdon, is the account of the Lord Egertons Pipe Organ and the planned restoration by the The Lancastrian Theatre Organ Trust (supported by the National Trust of UK) Lord Egerton was an extremely generous, philanthropic, individual and the Egerton University (EU) in Kenya plans to establish the Lord Egerton Foundation (assisted with your donations) in his honor. To read more about Lord Egerton and his castle in Africa, see also this interim report regarding the title Lord Egerton. Read also this recent fascinating news article about the daily routine of Maurice Egerton, the last Lord Egerton, who died in 1958 and of his final years while living in his Castle in the Kenyan bush. For a firsthand report on the Egerton Castle from one of the students of Cape Town Academy, who recently completed the course, Diploma of Travel & Tourism. For a recent photo of the Egerton Castle, click here. Note that Lord Maurice Egerton was the nephew of Wilbraham Egerton, 2nd Baron Egerton of Tatton (1832-1909) who was the esteemed writer of the valuable reference work Indian and Oriental Armour. Editorial Review of this excellent book: Long a vital sourcebook of information on the military history of India, this excellently illustrated volume provides factual accounts of events ranging from the earliest invasions of the subcontinent in 200 b.c. to the First Burmese War in 1824. A shorter section of the book includes detailed information on Arabian and Persian arms and Japanese armor. Illustrations and notes describe helmets, daggers, sabers, maces, blowpipes, and other weapons--all grouped according to geographical areas. A comprehensive reference for enthusiasts of arms, armor, and military history. New Introduction. 350 halftones and line illustrations. Plus of interest to our visitors, the 2nd Lord Egerton of Tatton, who wrote in 1896 the definitive reference work on Indian Arms and Armour, bequeathed his enormous collection to his daughter Lady Gertrude Lucia Egerton, (1861-1943) who later passed it on to the museum in Manchester Art Gallery, England. The most interesting parts are in storage, including many Sikh weapons, chakkars, and matchlocks. A Sikh shield is on display, in the Gallery of Craft & Design. The Museum holds the gauntlets of Maharaja Kharak Singh, and armour believed to be that of Maharaja Ranjit Singh which are in storage. The Anglo Sikh Heritage Trail is working in close association with the Manchester Art Gallery to explore opportunities for having more of their Treasures on public display. Click here. Bird Watching In Kenya-Home of the Flamingos - Remember the scenes from the film, Out of Africa when Meryl Streep and our friend Robert Redford (of Sundance in Salt Lake City, Utah, USA) are flying over the lakes of Kenya and the thousands of flamingos like a pink cloud, passing over the same beautiful lakes? This experience can be yours. If you require assistance with travel, accommodation and arrangements for a tour of this region. Contact our firm. If you wish to simply enjoy a book review of the location where this film was made, and the beautiful area around Ngong Hills where Karen Blixen lived click here. For some trivia about the film "Out of Africa" read more. If you wish to review or purchase the book, or buy the DVD Out of Africa visit this link Out of Africa. Editor's Note: We have just received a complimentary copy of a great new book about the life of Denys Finch Hatton. This book titled Too Close to the Sun written by Sarah Wheeler is highly recommended. Boran Cattle Breeders Society - If you are interested in this breed of cattle, then this site is dedicated to the Boran breed which is the hardiest cattle breed to be found in continental Africa. Visit our website. Sizzling Waters - This beautiful location is a bed and breakfast facility that offers quality and competitive services. Our guests often refer to Sizzling Waters as Pure Paradise in the Village and we are conveniently located on the Nakuru-Kericho Highway, just after Ngata Bridge, 10 minutes drive from Nakuru Town. While here, guests can easily access the famous Lord Egerton Castle, Menengai Crater and Nakuru National Park. Sizzling Waters is a place to meet friends and close business deals and keep up with current events while enjoying sizzling foods and drinks of your choice. Or simply contact Delamere Travel for available bookings. Soysambu Conservancy Limited -This non-profit organization is in the process of being formed to establish a Conservancy in Kenya for the benefit of the public through preserving an environment which will sustain wildlife and vegetation alongside wildlife tourism. Enjoy the beautiful photos taken by Kat Combes, and see and listen to the video clip. Visit their site. Visit Ol Pejeta Conservancy - Ol Pejeta is a 90,000 acre wildlife conservancy in the foothills of Mount Kenya incorporating Sweetwaters Chimpanzee Sanctuary, the only place in Kenya to see chimpanzees. Visit their site. Lakes of the Rift Valley - This report from the Leicester University in England contains excellent information for students who would like more information on Lake Naivasha, Lake Bogoria, and Lake Baringo. The report is produced by EarthWatch.org and is a PDF file. Click here and use the Site Map for Kenya. The William Holden Wildlife Foundation - In his memory, the William Holden Wildlife Foundation was founded to carry on his important efforts and to meet the ever-increasing demand for alternatives to extinction. Bill Holden was co-founder of the Mount Kenya Game Ranch (now part of the Mount Kenya Wildlife Conservancy. The foundation's education program currently serves over 10,000 students per year. Overhead expenses in the United States are underwritten through the generosity of a single donor, ensuring that virtually 100% of your tax-deductible donation goes directly to our work. Visit this site. The Delamere Group are supporters of the David Sheldrick Wildlife Trust that is a small flexible charity, established in memory of David, famous Naturalist and founder Warden of Kenya's giant Tsavo East National Park in which he served from 1948 until 1976. His character is summed up by Tim Corfield, in the Author's Note to the Field Manual David's Notes and Records inspired The Wilderness Guardian which is now a text book throughout Africa in most Wildlife Institutions and Training Schools, and an integral part of every Field Warden's library. Six Trustees assisted by an Advisory Committee of practical Naturalists with a lifetime experience of African conditions oversee and direct the operations of the Trust. For more information, click here. Read this interesting report about the current problems of the Rift Valley. Click here. For paintings and prints of African Wildlife - These beautiful pieces of art by Simon Combes are a delight to own or present as gifts. Editor's Note: We regret to inform our readers that Simon was gored to death by a water buffalo on Sunday 12 December 2004 while out on an evening walk on his farm in Kenya, near the Delamere Estates in Soysambu. The staff and management of Delamere Travel send their condolences to Simon's family. Read the obituary of Simon Combes published in the Independent Newspaper, as written by our friend David Shepherd. Click here. The Delamere Group is a sponsor of The Cheetah Conservation Fund (CCF) - The CCF was founded in 1990 by Dr. Laurie Marker. CCF's mission is an internationally recognised centre of excellence in research and education on cheetahs and their eco-systems. Visit their site. For Travel Information and Tours Available to the Countries of the African Continent click here and select the country of interest. If you need assistance or further information contact our firm. Making a visit to Victoria Falls, Zimbabwe - The best time to visit is in April and May or August and September. Hot in September and October, then rainy from November to March. For an overview of this beautiful tourist spot, click here. One of the favorite places to visit in South Africa is Stellenbosch - The heart of South Africa's wine industry, Stellenbosch is a place of great beauty and culture that's steeped in South African tradition. Visit this site. Check the current weather forecast and existing conditions in South Africa and the various provinces. Click here. If you need assistance to obtain a visa or passport for any of the countries in Africa, visit the pages of Delamere Immigration Services. Copyright Delamere-Pennine Associates - 2017. All rights reserved.